I’ve never been into the habit of taking a used Italy towel from one of the bathhouse trash bins. However, if I don’t have one, which I usually do, most of my Korean friends think nothing of it. This is by no means an isolated habit and I regularly see individuals tramping about bins in search of the abrasive Italy towel, a razor or a squirt of residue from a shampoo sachet. However, no Korean would dream of using someone’s discarded toothbrush – at least not for cleaning their teeth. Bathhouse trash bins aren’t as gross as they sound and usually consist of two plastic laundry-type baskets at the end of each row of showers, one for towels and the other for rubbish such as shampoo sachets, razors and the like. As they are regularly emptied, one is spared having to root through them and usually the bin only ever contains a few items. I suppose if you’re used to using a communal bars of soap, the use of a discarded Italy towel is no big deal. I don’t mind my friends using one on my back but communal soap and secondhand Italy towels go nowhere near my face. 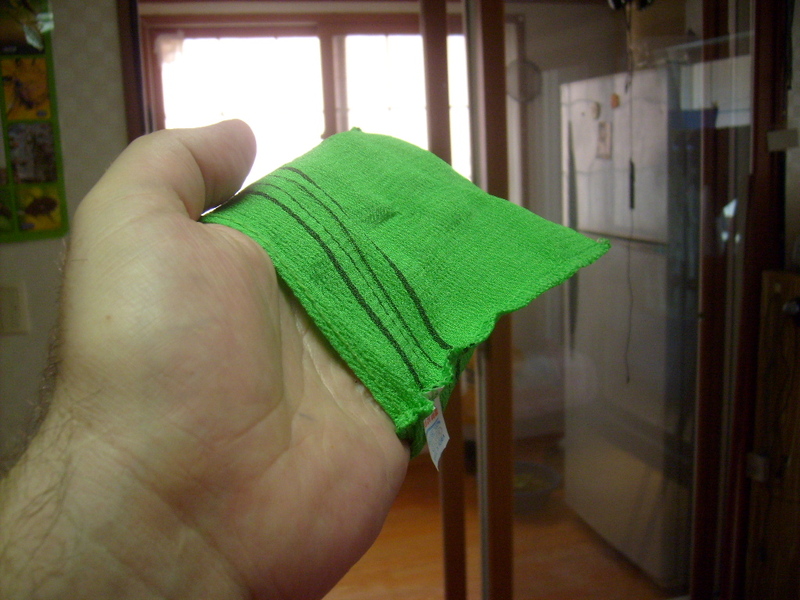 I’ve been practicing taekwon-do after a ten-year break and one unexpected teething problem is cracked heels from pivoting on the ‘tatami’ mat floor of the training hall. Anyone who has had a cracked heel will appreciate that even though they are small and may not bleed, they are irritatingly painful. My training regime has been going well and there was no way I was going to be halted by a couple tiny fissures. I awoke one morning and almost as I was opening my eyes, had the solution. I’ve no idea where the idea originated but it was already rooted in the forefront of my brain as my eyes adjusted to the morning light. The remedy was obvious – super-glue. Doing a quick Google on its medical uses, it would seem my idea is far from novel, though no doubt foolish. Indeed, I read numerous articles, all from the USA, where basic medical aid starts at an inflated level and quality is dependent on how much you are prepared to pay, where super-glue is used to bond lacerations all with the intent of circumnavigating the hefty expense of a visit to a hospital. As I’m not living in the USA, and I’m not daft enough to squirt bond into an open wound, I nonetheless used the remedy to seal my crack and the result was excellent. Next day I was back training, unhindered. a few drops did the trick – naturally, not recommended! A week or so later, I’m sat in the bathhouse and noticed a guy sat next to me scraping the hard skin on his heels with a razor. Let me tell you, I tried it when I got home. First you need to soak your feet for around an hour by which time the skin is soft enough for the razor to manage. At home and in the bathhouse I use one of those expensive ‘super’ blades, the type that have several cutting edges and a psychedelic strip impregnated with aloe-vera. I used an old blade which although dull on my face, retained enough sharpness to slice through the rough skin around the crack with ease. I imagine you’d only get one foot shave from an old razor as the process seriously dulls the cutting sharpness and skin gets stuck between the blades. However, it was an effective if not a potentially expensive misuse of decent razor blades. Solution – a bit of tramping in the bins to find discarded blades which I can use after a lengthy soaking, poolside. Every basket had a couple of razors and I even found two ‘super’-blades which fitted the model I have.